Creatine supplements are muscle and performance building supplements. They boost overall strength by 10 – 15 percent and up to 10 pounds of lean muscle mass gain. For this reason they are very popular among athletes and body builders. This is a compound that is produced by the liver, pancreas and kidney. Its main purpose is to supply energy to the muscles. Besides being produced by the body, it is also present in certain foods – mainly fresh meat. After being produced, it moves to the muscles through the bloodstream. The conversion of this compound into phosphate takes place in the muscles. Creatine phosphate regenerates the ultimate energy source of the muscles – the adenosine tri-phosphate (ATP). The body relies on ATP when quick energy is needed. ATP levels goes down when you exercise. The main work of creatine here is to restore your ATP levels back to normal. The body manufactures it from amino acids. Fresh meat from salmon, pork, tuna and beef are exceptionally rich in this compound. A pound of fresh meat from these types contains 2 grams of this compound. A good portion of this compound is destroyed during cooking because it is highly sensitive to heat. These are muscle and performance building supplements. They boost overall strength by 10 – 15% and up to 10 pounds of lean muscle mass gain. As a result, these supplements are very popular since they are considered cost effective. These supplements are available in different forms including liquid, pill and powder form. The powder form of this supplement is most popular. Hence they are usually grape flavored and sold as powdered drink mixes. What Forms of Supplements are Available? Capsules – also called pills, capsules are 100 percent creatine. This has given them popularity in the past few years. In some instances, they contain other ingredients which may include minerals, vitamins, amino acids or more. Powder – this form is the most common form. powders are either flavored and sold as mixable drinks, or are sold as standalone products. Blends. This form is usually a mixture of various forms. Vitamin and mineral supplement are usually included in blends so as to increase energy, digestion and athletic performance. Liquid - Liquid type is digestion friendly since it is in liquid form. Despite being packaged and distributed in an easily digestible form, it is still not popular. Among all the athletic performance building supplements, creatine has come out as king in the last few years. The creatine phosphate energy system is increased through the intake of creatine. Hence a sportsperson can work out for longer periods with more energy. This compound helps athletes to tap explosive energy when needed at critical times during training. In medical studies, it is known to increase strength and lean muscle mass. Gives Extra Energy – it increases energy during training and performance. It provides energy that helps an athlete to push harder and longer. Creatine supplements help an athlete to get a big burst of energy when needed. The body relies on adenosine tri-phosphate (ATP) to provide quick energy when needed. Creatine ensures that the energy released by ATP is restored hence preparing the body to work hard again. A recent research study found out that muscle specific protein synthesis is stimulated by supplementation. This compound delay muscle fatigue by acting as a lactic acid buffer. This allows you to work longer and harder in the field. It strengthens muscle cells by volumizing muscles. A greater muscular volume helps to keep you stronger and consequently this carries more lean muscle mass. Who Should Use Creatine Supplements? Although they are more common to bodybuilders and athletes, they can be used by anyone who is physically active. Besides providing more strength and energy, they enhance endurance and muscle mass. They are known for giving sportsmen the power to dig deep and provide explosive energy. This compound has other health benefits including improving brain functioning, fighting diseases and strengthening muscle cells among others. Vegetarians – these are people who do not take fresh meat. Thus creatine is a must for them to get good health. Bodybuilders – these people require this compound so as to get extra strength and energy. It also increases their lean muscle mass. Athletes – endurance athletes such as runners, bikers plus many more use these supplements to increase their strength and energy during their training sessions. 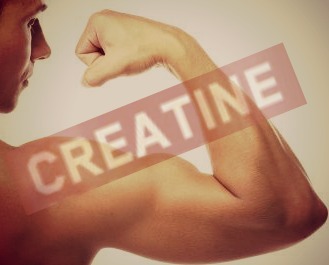 Creatine is very helpful in helping athletes to dig deep when quick bursts of energy are needed. Team sports – team sports athletes rely on creatine to give them more strength. They need more energy when their game is on the line. Heavy weight lifters – also called power lifters, they use creatine for intense workout endurance. They also benefit from the strength and energy it provides. General body transformation – besides being used by athletes and bodybuilders, creatine is used by people who want to turn their lives around and change their body shape. It helps them become stronger and attain better performance. They are also able to burn more fat as a result of added muscle mass.